Can Twitter do away with passwords? Passwords? Those are old hat, according to Twitter, which just launched a new service called Digits. The service, announced at Twitter's first developer conference in San Francisco, lets users sign in to apps using their phone numbers. Instead of having to use email and password combinations or sign in with Twitter, Google, Facebook, or another service, Digits lets you simply enter your phone number when signing up for a new app or service. You're all set after you enter a confirmation code sent to you via SMS. It's like the two-step authentication offered by many apps and services, which asks users to enter a code sent by SMS when they sign in on new devices - except Digits skips the first step. Twitter says Digits uses the social network's own security infrastructure and that signing in is both "simple" and "safe." But other than that Digits appears to have no tangible relationship with Twitter's other products; it's a standalone service that developers can implement in their apps independently of any Twitter support. 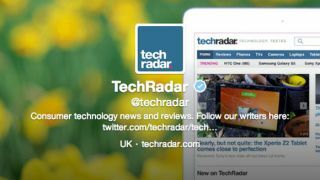 It's actually part of Twitter's Fabric, a mobile development kit also announced at the Twitter conference. Among other new features Fabric brings are system-level sign in on Android, letting users sign in once to access all Twitter-enabled apps on their devices, and the ability for devs to let users send tweets directly within apps, Engadget reports.